When you are a small business owner, every major decision carries consequences and therefore requires a lot of careful thought before coming to a decision. 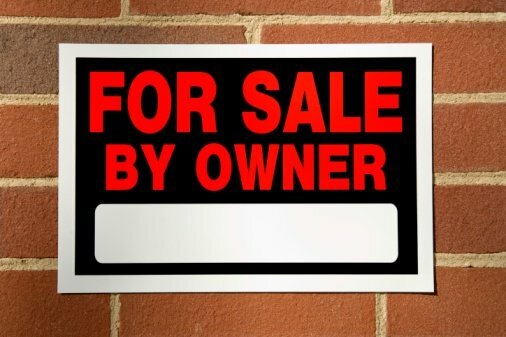 One of the most important decisions that a small business owner can make is deciding whether to sell your business. There is a lot to preparing a business for sale by owner and legitimate concerns about confidentiality, valuation, advertising, contracts and other areas to address for the sale. Steps to fully prepare you and maximize the potential of your sale are listed below. 1. See if your company can run without you. Remember that through all of this, you are trying to sell your company and not what you can do with it. Buyers will want to make sure that the company can run just fine without you in the picture. A buyer is interested in the company, not what the company can do with you running it. Make sure that your business will be just fine after you leave it or it won’t sell. 2. Start your preparations early. Nothing is worse than starting too late and not meeting your deadline to exit the business. Start maximizing your profitability before you put your business up for sale so you have the best opportunity to enhance your business’s value before selling. The higher the value, the better the sales prices and the more profit you will make off of the sale. As a business for sale by owner, you want to focus on reducing costs, achieving operational efficiencies, and improving as many value enhancers as you can before a buyer looks over it. 3. Look over all of the cost efficiencies of your company. Keep an eye out for superfluous resources and assets that your company is not making money with and remove these money wasters. You want to be focusing on making money instead of wasting it, obviously. 4. Make sure you are well acquainted with your finances and know what is going on with your financial controls and processes. A good starting place is having a good bookkeeper or accountant that assists in keeping a strong control over the finances. Take the time it takes to truly understand and look at your profits from an unbiased viewpoint to better make decisions about profitability. Buyers will be more impressed by a presentation of solid cash flow, strong management, and minimal superfluous spending. 5. Let your vision show clearly. Buyers understand good business choices, but show them what your business was based off of and how the business can continue to grow and how it has already grown in the past. Let them know what your vision and goals for the business’s future are and how they can reasonably be achieved. Your business has a culture of its own and buyers are interested in a company with a solid history, room for growth and something they can become invested in. 6. Show your potential buyers a reasonable plan that they can follow for the future. Give them an idea of how you have achieved your business’s profit so far and how the profits will continue and grow with time. Make sure you mention the credibility of your team and the quality of the company itself. When people see a reasonable list of predictions, they will feel more secure in their purchases. 7. When it comes to selling your business, you must separate the business issues from any family issues, if they exist. Family involved in the business or the decisions about selling the business need to be consulted up front before going to market with the sale. Often a buyer will become discouraged if having to deal with several family members instead of one during the buying process of a business. When a buyer sees a business that is functioning smoothly without issues, they will be impressed and more confident when buying.